Leading Manufacturer of blue topaz from New Delhi. Today the most popular color is blue zircon, which is considered an alternativebirthstone for December. 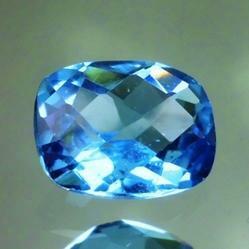 Most blue zircon is of a pastel blue or sky blue, but some exceptional gems have a bright vivid blue color. Zircon is also available in green, dark red, yellow, brown, and orange.